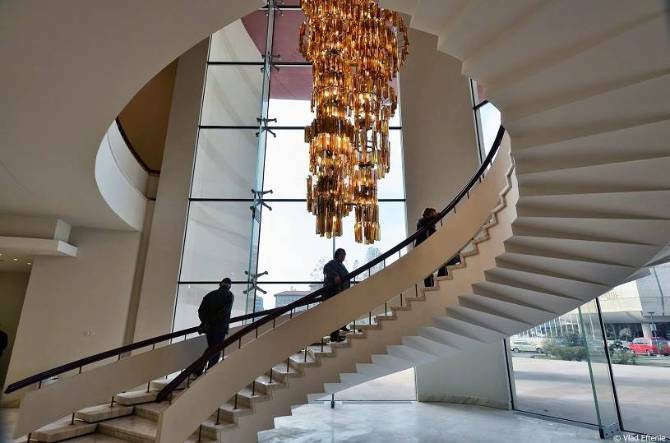 Bucharest’s National Theater in Bucharest will officially reopen April 18 after undergoing massive renovation works that had a price tag of EUR 65 million. 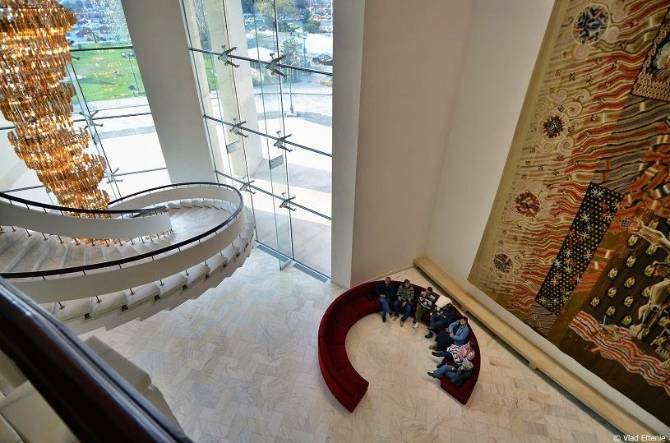 The reopening will be made with the play Insir’te margarite (Beading pearls) by Albanian – Romanian poet and playwright Victor Eftimiu, staged under the direction of Dan Puric. The show will be also performed on April 19, 21, 29, 30. Tickets are available here. 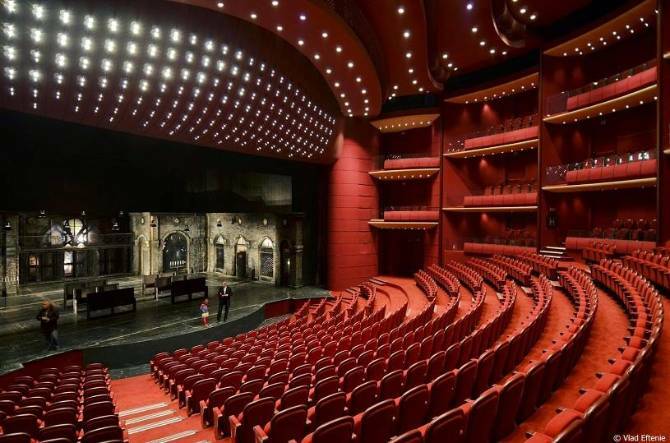 The National Theater reopens with seven performance halls, four of which are new. One of them is placed on the rooftop for summer representations and one hall is to be used by young artists for experiment. 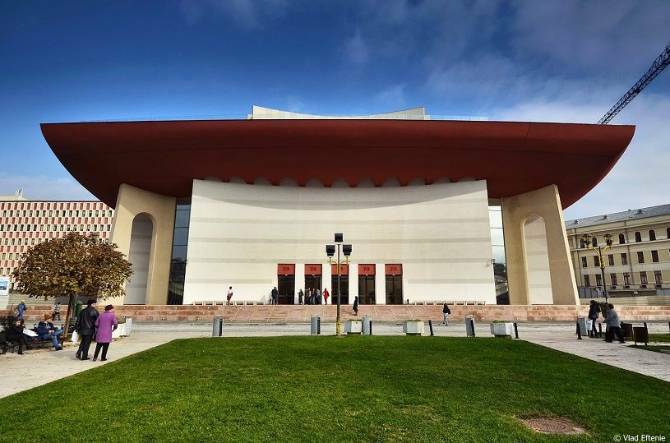 The Grand Hall of the theater, with 940 seats, has been brought to its initial design after the official theater box requested by dictator Nicolae Ceausescu was dismantled. 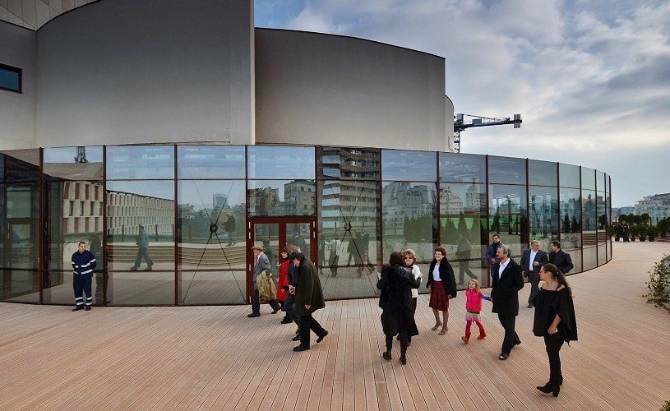 Romanian president Klaus Iohannis also visited the new theater and said it is a “pearl” not only for Bucharest, but for the whole country.